"It is not the right angle that attracts me, nor the straight line, hard and inflexible, created by man. What attracts me is the free and sensual curve — the curve that I find in the mountains of my country, in the sinuous course of its rivers, in the body of the beloved woman." Oscar Ribeiro de Almeida Niemeyer Soares Filho (December 15, 1907 - December 5th, 2012) is a Brazilian architect considered one of the most important names in international modern architecture and the first in exploring the formal possibilities of reinforced concrete solely for its aesthetic impact. He was also a big advocator of Le Corbusier’s ideas about architecture itself. His buildings are often characterised by being spacious and exposed, mixing volumes and empty space to create unconventional patterns. 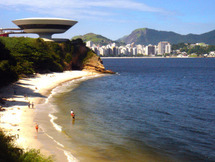 Oscar Niemeyer took his German surname from a German Brazilian grandmother with roots in Hanover, Germany. He was born in the city of Rio de Janeiro in 1907 in the Laranjeiras neighborhood, on a street that later would receive the name of his grandfather. He spent his youth as a typical young Carioca of the time: bohemian and relatively unconcerned with his future. He started to work in his father's typography house and entered the Escola de Belas Artes (Brazil), from which he graduated as engineer architect in 1934. At the time he had financial difficulties but decided to work without payment in the architecture studio of Lúcio Costa and Carlos Leão. He felt dissatisfied with the architecture that he saw in the streets and believed he could find a career there. In 1945, he joined the Brazilian Communist Party, and in 1992 he would become president of that party. 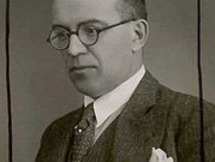 Niemeyer was a boy at the time of the Russian Revolution of 1917, and by the Second World War he became a young idealist. During the military dictatorship of Brazil his office was raided and he was forced into exile in Europe. The Minister of Aeronautics of the time reportedly said that "the place for a communist architect is Moscow." 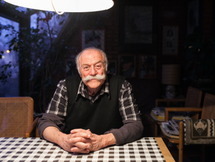 He visited the USSR, met with diverse socialist leaders and became a personal friend of some of them. Fidel Castro once said: "Niemeyer and I are the last Communists of this planet." In 1936, at 29, Lúcio Costa was appointed by Education Minister, Gustavo Capanema, as the architect of the new headquarters for the Ministry of Education and Public Health in Rio de Janeiro. In 1939, Niemeyer assumed the leadership of the team of architects (Lúcio Costa, Carlos Leão, Affonso Eduardo Reidy, Jorge Moreira, Ernani Vasconcellos and Niemeyer, with Le Corbusier acting as a consultant) responsible for the Ministry that had assumed the task of shaping the ‘novo homem, Brasileiro e moderno’ (new man, Brazilian and modern). Following Niemeyer's request, the headquarters were renamed Palácio Gustavo Capanema in 1985. It was the first state-sponsored modernist skyscraper in the world, and of a much larger scale than anything Le Corbusier had built until then. Completed in 1943, when he was 36, the building which housed the regulator and manager of Brazilian culture and cultural heritage developed the elements of what was to become recognized as Brazilian modernism. It employed local materials and techniques, like the azulejos linked to the Portuguese tradition; the revolutionized Corbusian brises-soleil, made adjustable and related to the Moorish shading devices of colonial architecture; bold colors; the tropical gardens of Roberto Burle Marx; the Imperial Palm (Roystonea oleracea), known as the Brazilian order; further allusions to the icons of the Brazilian landscape; and specially commissioned works by Brazilian artists. In 1939, at 32, Niemeyer with Lúcio Costa designed the Brazilian pavilion at the New York World's Fair (executed in collaboration with Paul Lester Wiener). Impressed by the executed Pavilion, Mayor Fiorello La Guardia awarded Niemeyer the keys to the city of New York. Costa explained that the Brazilian Pavilion adopted a language of ‘grace and elegance’, lightness and spatial fluidity, open plan, curves and free walls, which he termed ‘Ionic’, contrasting it to the contemporaneous stern Modernist architecture, which he termed ‘Doric’. By mid-twentieth century, Brazilian architectural Modernism had been recognized as the first national style in modern architecture by Reyner Banham. The international architectural periodicals of the 1940s and 1950s dedicated hundreds of dithyrambic pages to the ‘chosen land of the most original and most audacious contemporary architecture’, followed by monographs on individual architects like Niemeyer and Affonso Eduardo Reidy. In 1947, at 40, his worldwide recognition was confirmed when Niemeyer traveled to the United States to be part of the international team working on the design for the headquarters of the United Nations in New York. Niemeyer's 'scheme 32' was approved by the Board of Design, but he eventually gave in to pressure by Le Corbusier, and together they submitted project 23/32 (developed with Bodiansky and Weissmann), which combined elements from Niemeyer's and Le Corbusier's schemes, but was primarily based on Niemeyer's scheme. Despite Le Corbusier’s insistence to remain involved, the conceptual design for the United Nations Headquarters (scheme 23/32), approved by the Board, was carried forward by the Director of Planning, Wallace Harrison, and Max Abramovitz, then a partnership. In the previous year Niemeyer had received an invitation to teach at Yale University; however, his visa was denied. In 1950 the first book about his work was published in the USA by Stamo Papadaki. In 1953, at 46, Niemeyer was selected for the position of dean of the Harvard Graduate School of Design. His Communist Party membership meant that, for the second time, he was refused a visa to enter the United States. The leftist position of Niemeyer (he was a staunch Stalinist) cost him much during the military dictatorship. His office was pillaged, the headquarters of the magazine he coordinated was destroyed, his projects mysteriously began to be refused and clients disappeared. In 1965, two hundred professors, Niemeyer among them, asked for their resignation from the University of Brasília, in protest against the government treatment of universities. In the same year he traveled to France for an exhibition in the Louvre museum. The following year, Niemeyer moved to Paris. Also in 1966, at 59, he travelled to the city of Tripoli, Lebanon to design the International Permanent Exhibition Centre. Despite completing construction, the start of the civil war in Lebanon prevented it from achieving its full utility. He opened an office on the Champs-Élysées, and had customers in diverse countries, especially in Algeria where he designed the University of Science and Technology-Houari Boumediene. In Paris he created the headquarters of the French Communist Party, Place du Colonel Fabien, and in Italy that of the Mondadori publishing company. In Funchal on Madeira, a 19th-century hotel was removed to build a casino by Niemeyer. Another prominent design of his was the Penang State Mosque in George Town the state capital of Penang, Malaysia in the 1970s. While in Paris, Niemeyer began designing furniture which was produced by Mobilier International. He created an easy chair and ottoman composed of bent steel and leather in limited numbers for private clients. Later, in 1978, this chair and other designs including the "Rio" chaise-lounge were produced in Brazil by the Japanese company Tendo, then Tendo Brasileira. The easy chairs and ottomans were made of bent wood and were placed in different Communist party headquarters around the world. Much like his architecture, Niemeyer's furniture designs were meant to evoke the beauty of Brazil, with curves mimicking the female form and the hills of Rio de Janeiro. Niemeyer, became one of the world's oldest practicing architects of international stature, outliving his modernist contemporaries, passing away at the age of 104 in 2012. Niemeyer leaves a great legacy, Brasilia, where much of his work was established, has become the only modern city to be named a Unesco World Heritage site.